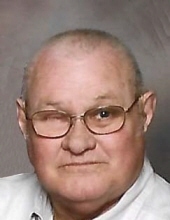 Donald Ray Sanderson 76, of Piedmont Oklahoma died on Monday, September 11, 2017 at his residence. Donald was born in Bartlesville, Oklahoma on April 11, 1941, the son of Henry D “Elmo” and Mildred “Cotton” Sanderson. He grew up and received his education in Bartlesville from College High and later received his Bachelor’s Degree in Education from Northeastern State University in Tahlequah, Oklahoma. Donald was married to Sandra Kaye Ritchey on February 14, 1971. They made their home in Dewey Oklahoma. Donald taught school for a year before going to work for Phillips Petroleum Company and Applied Automation where he retired in Bartlesville. After retiring Donald and Sandra established Sanderson Tractor and Utility a successful Case tractor business of 25 years in Dewey where he could “tinker” with his toys as he loved to do every day. Donald and Sandra later owned Nowata Road Liquor Store before another adventure led them into the car wash business and a move to Piedmont, Oklahoma to be close to their grandchildren. Donald always had an old tractor he was going to fix and he loved to talk to everyone as he never met a stranger. He enjoyed watching his children play ball, he showed up for his granddaughter’s activities when he could, and he was his grandson’s biggest fan. He enjoyed going to Thunder basketball games and OKC Dodger Baseball games and he loved duck hunting, fishing, tractor collecting, coin collecting, and making sweet popcorn and the old western channel. Donald is survived by his wife, Sandra K Sanderson of Piedmont, son Darin Sanderson and wife Jonna of Yukon, daughter Dawn Sanderson of Oklahoma City, granddaughters Kay and Jaycie Sanderson of Yukon, grandson Devin and his parents Matt and Tammy Rietveld of Piedmont, Aunt Betty Tucker of Bartlesville and Uncle Bill McClintock of Bartlesville and many cousins. He is preceded in death by his parents Henry “Elmo” and Mildred Sanderson and numerous aunts and uncles. To send flowers or a remembrance gift to the family of Donald Ray Sanderson, please visit our Tribute Store. "Email Address" would like to share the life celebration of Donald Ray Sanderson. Click on the "link" to go to share a favorite memory or leave a condolence message for the family.